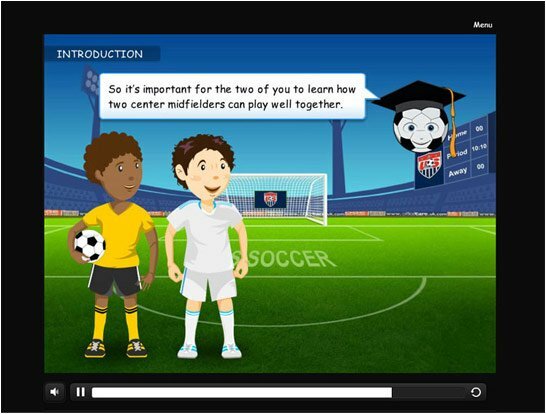 We've created some amazing, bespoke learning experiences to address specific learning needs. 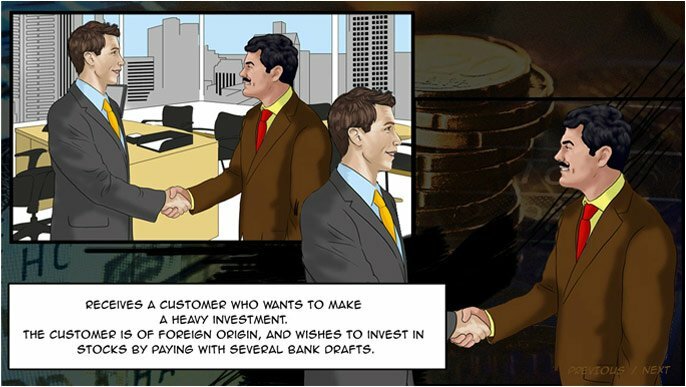 Different folks, different strokes! 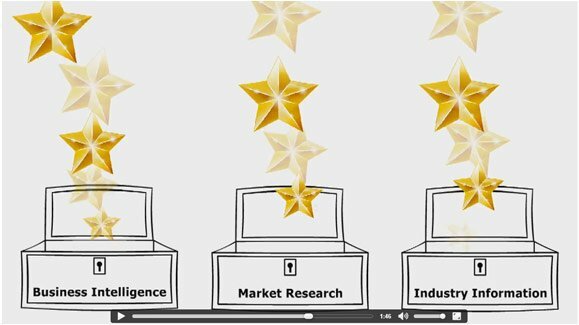 Here's a glimpse of a variety of our work that spreads across industries, domains, and skills. 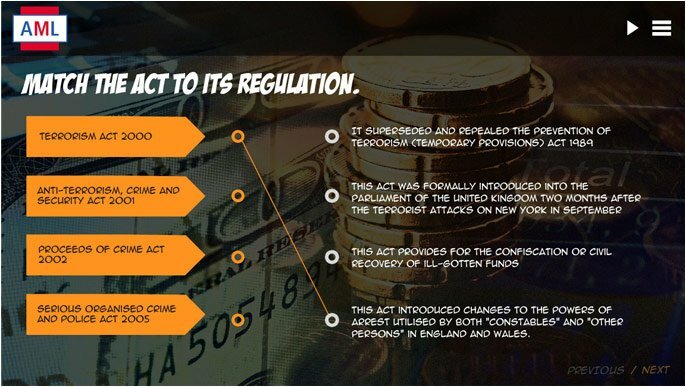 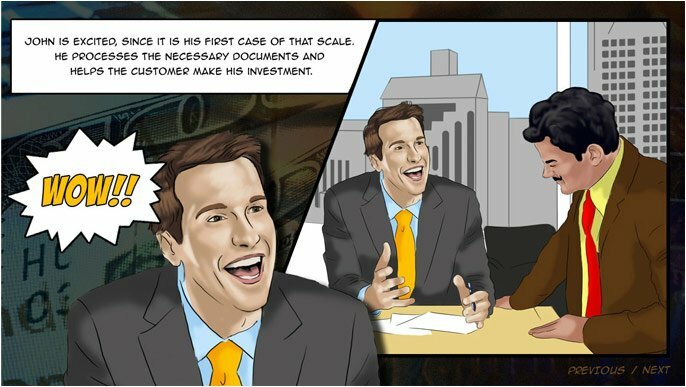 This course, based on UK laws, uses a comic-style of presentation. 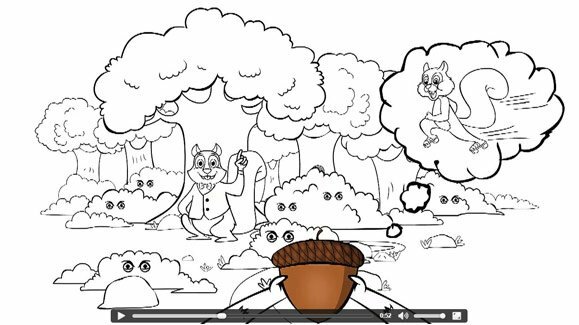 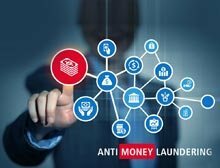 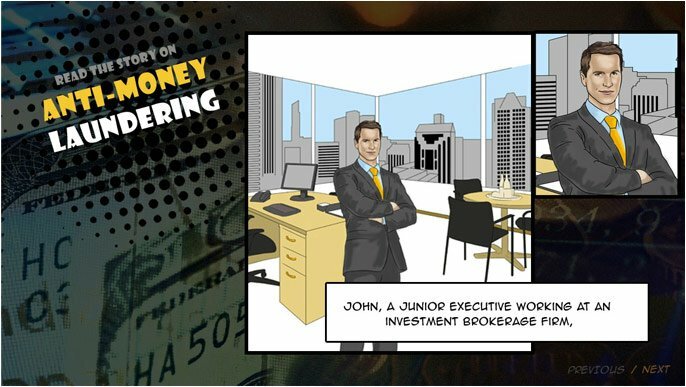 It is an illustration-based, interactive course that explains how money laundering takes place, using a story based approach. 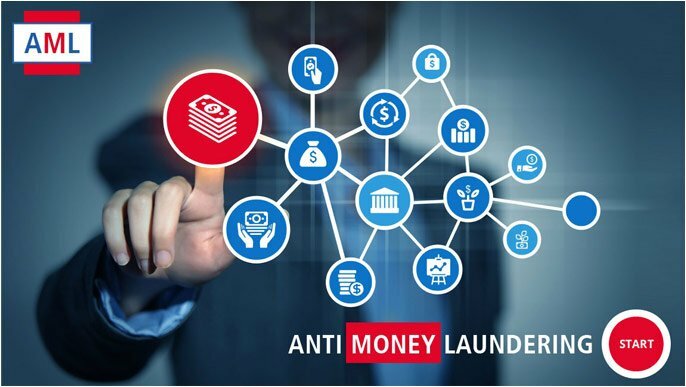 The various laws associated with anti-money laundering are discussed using interactive elements. 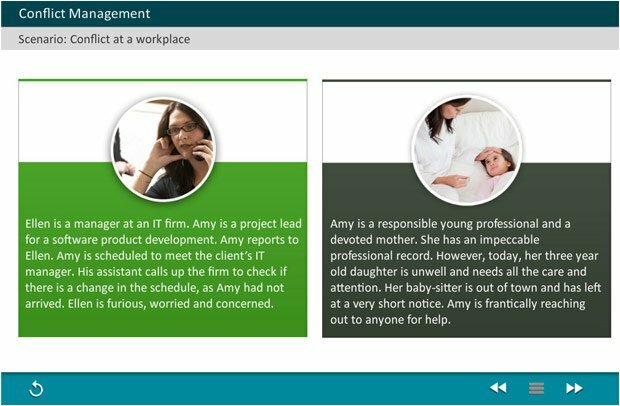 This course is responsive, platform independent and device agnostic. 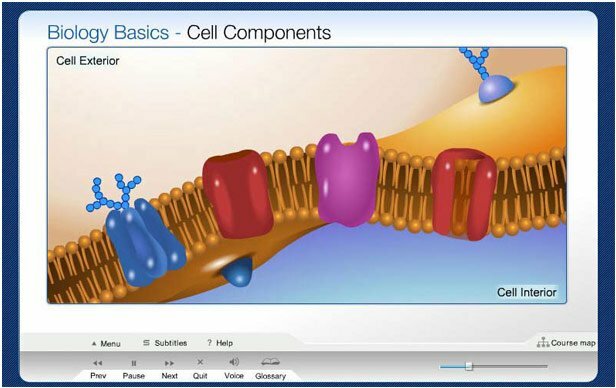 It has been developed in HTML5 and is SCORM compliant. 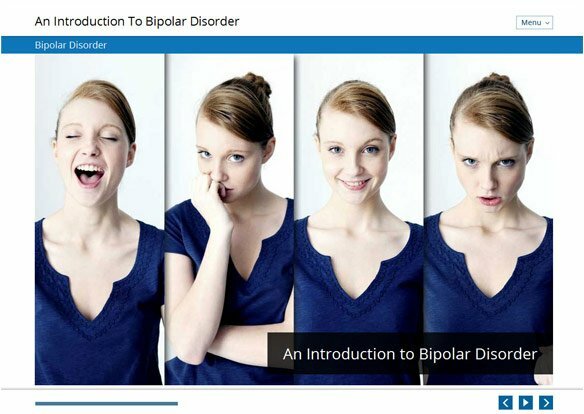 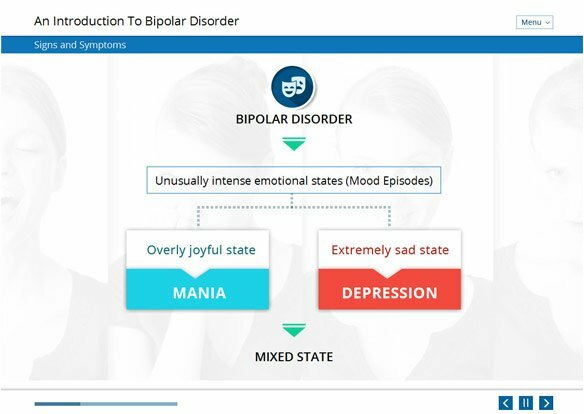 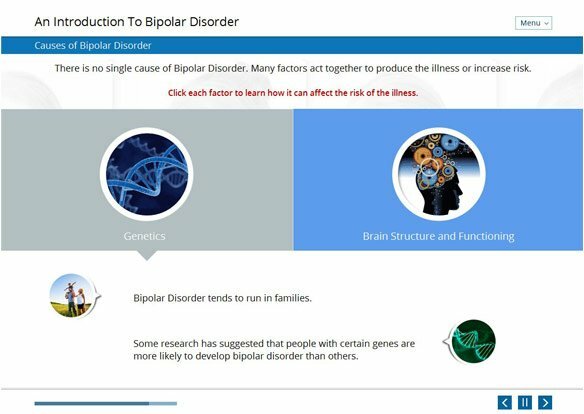 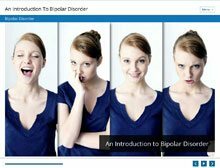 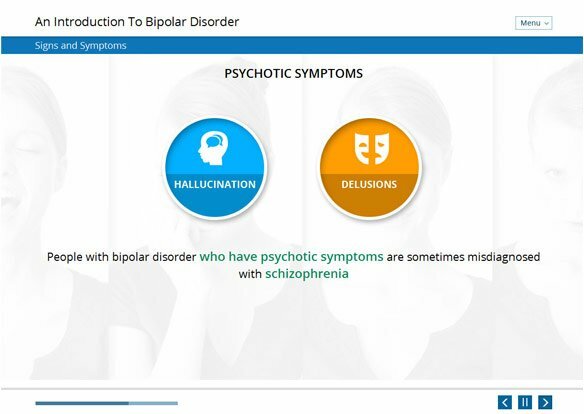 The course explains what bipolar disorder is, and the medical reasons behind the disorder. 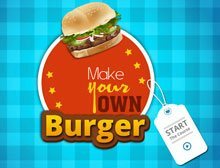 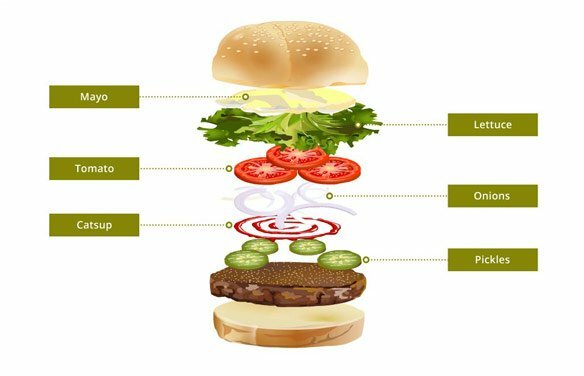 This interactive course explains the procedure for making a burger. 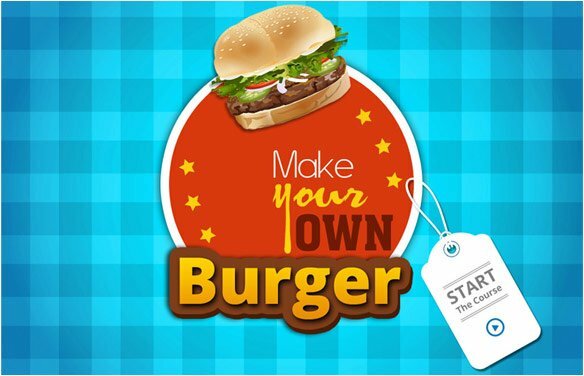 The course was developed to teach new hires of a fast food chain the process of burger making. 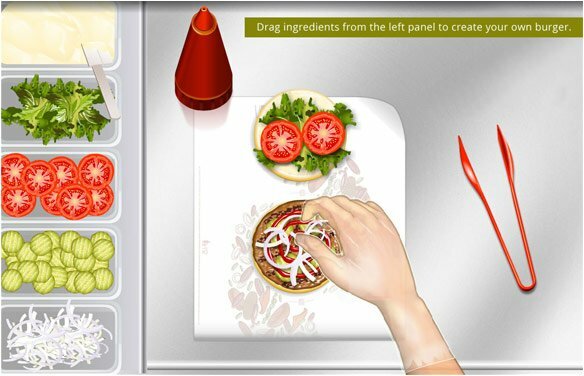 The course simulates a food counter where the learners can follow the correct steps to make a burger. 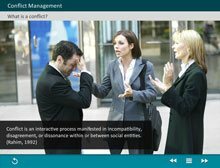 This course is for managers to learn how to manage conflict within the team. 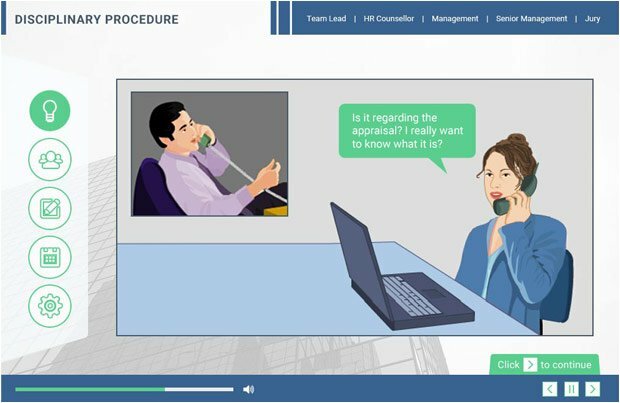 A branched scenario helps managers understand the consequences of correct and incorrect decisions made while handling conflict. 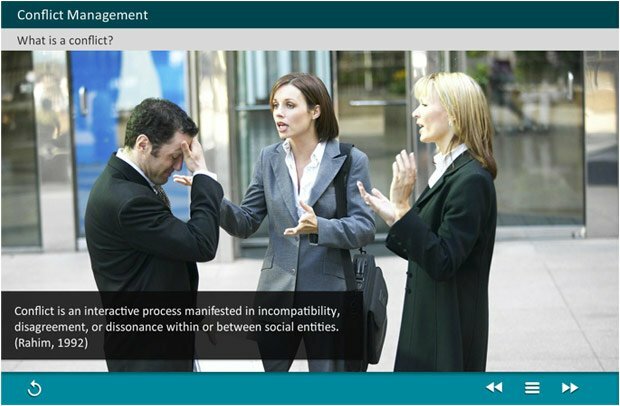 The course is designed to explain how to deal with real life situations managing team members. 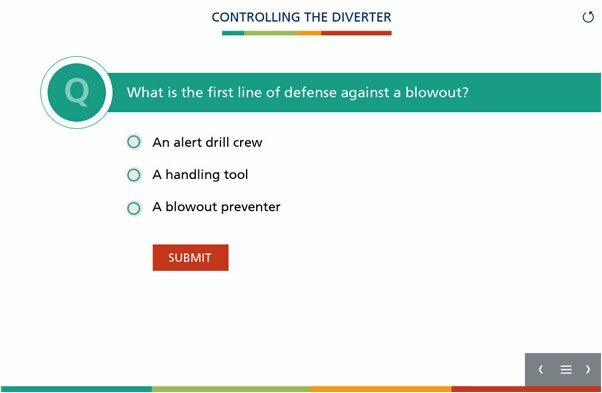 This course teaches managers how to deal with disciplinary issues within an organization. 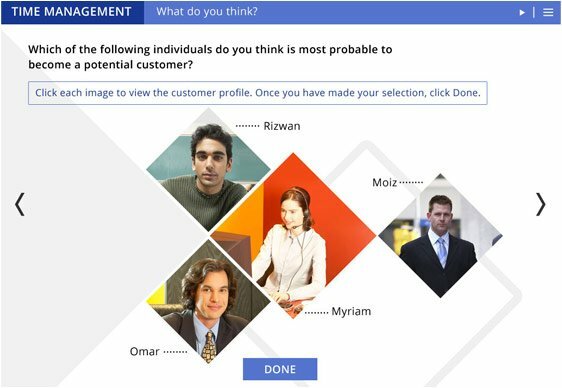 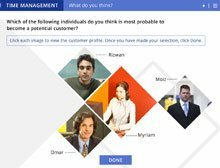 In a gamified environment, the learner can select the role of an employee, the HR executive, or the manager to learn about the policy and take appropriate action. 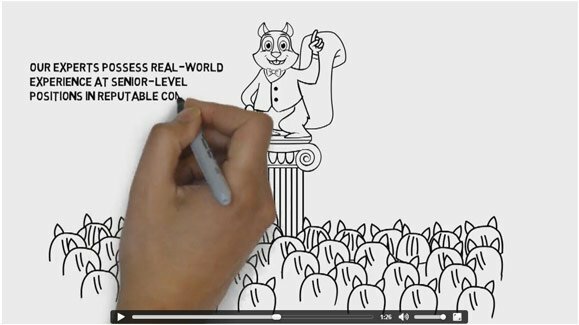 The objective of this course is to impart decision-making skills through real-world scenarios. 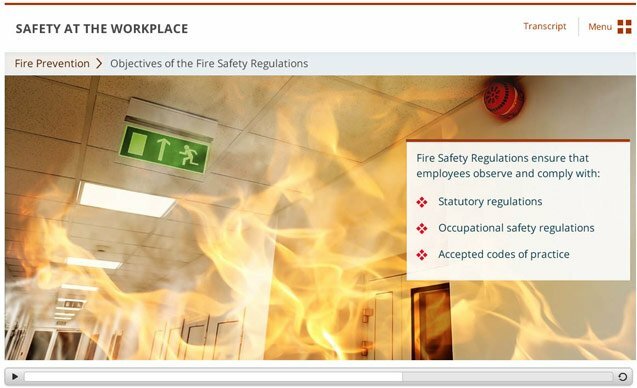 This interactive course explains the procedures to follow in the event of a fire, how to use fire extinguishers, and the basic precautions to take to prevent injury. 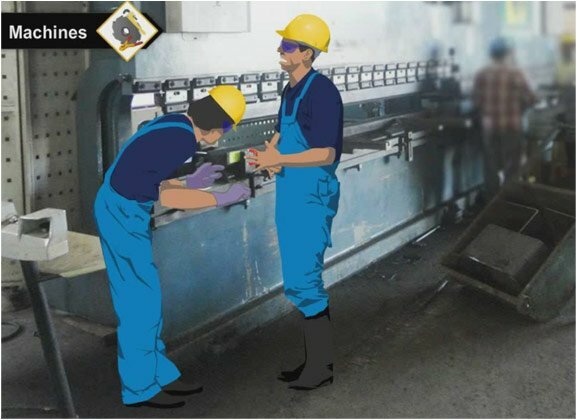 The course was developed for the employees of an organization as part of their safety training initiative. 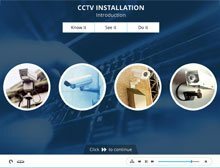 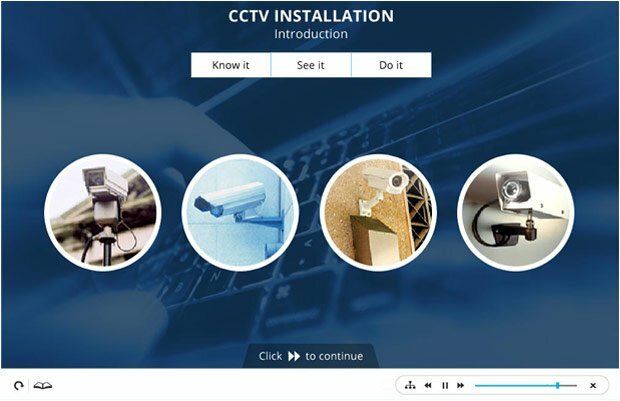 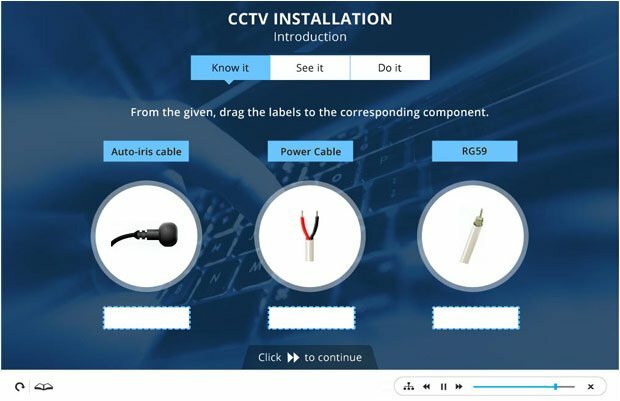 This hardware simulation course is an interactive installation guide to installing a CCTV camera, for field technicians. 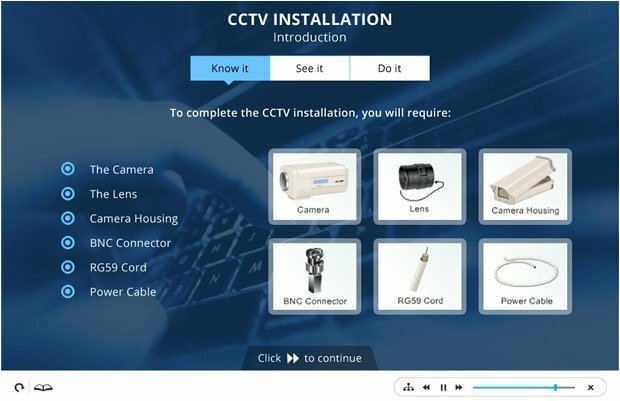 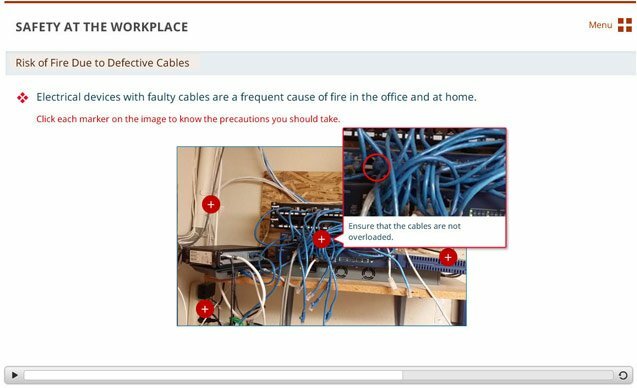 The course requires the learner to first understand the procedure and then perform the steps required to install the cameras. 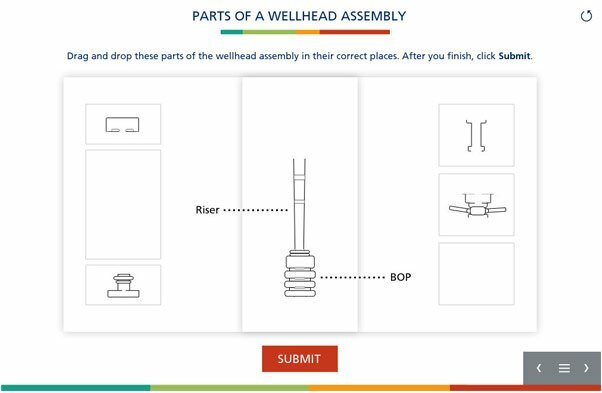 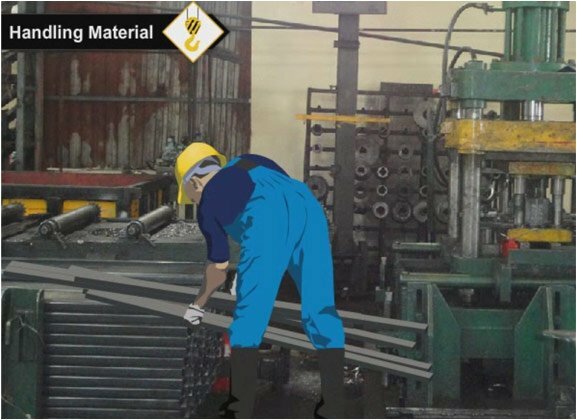 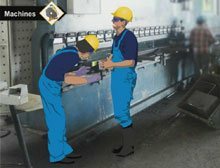 This series of video-based learning nuggets was developed for an organization dealing with heavy machinery and fabrication work. 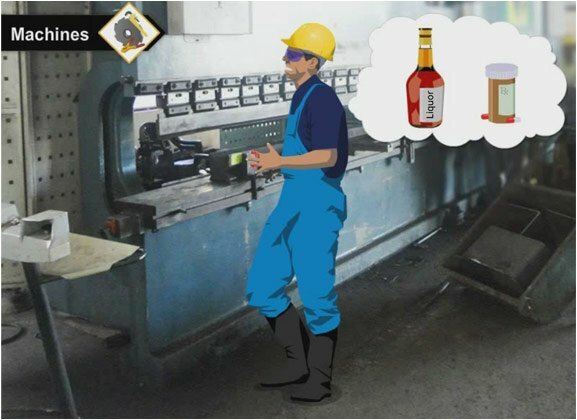 The purpose was to teach the workers on the shop floor to take necessary precautions while handling machinery and material. 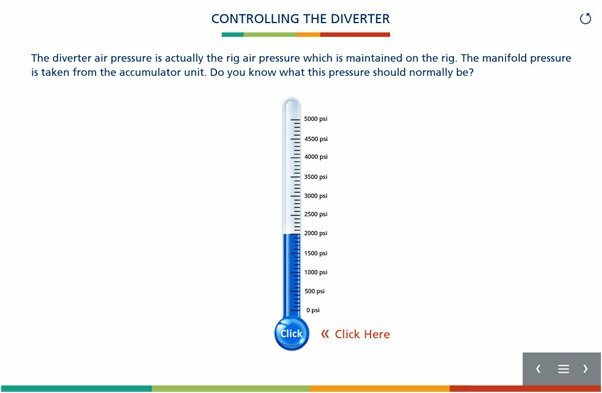 This course teaches certain important concepts for oil rig engineers. 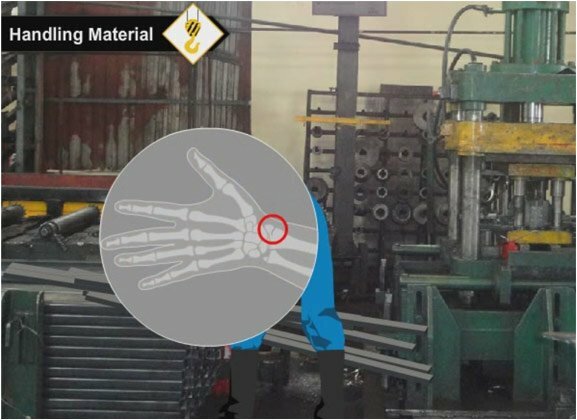 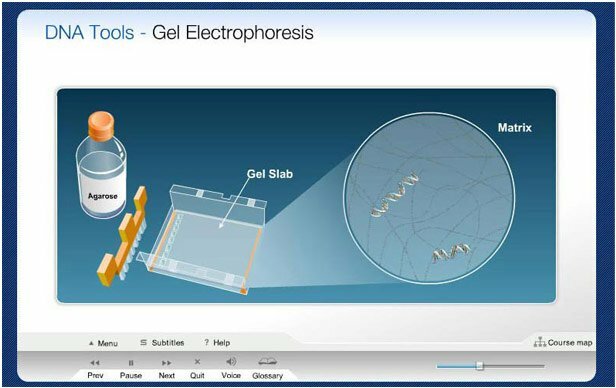 It has interactive elements and videos of procedures, to help understand how certain machinery function. 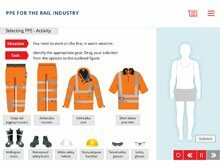 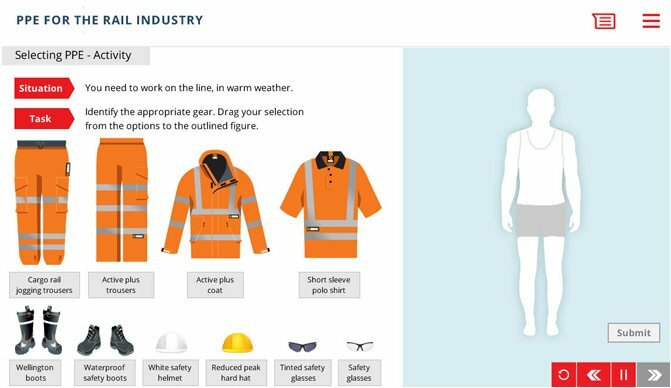 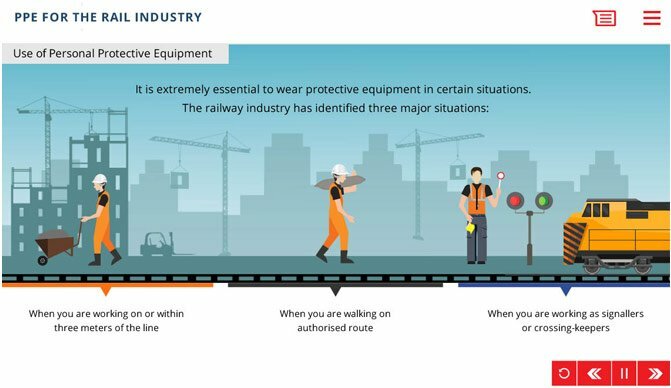 This interactive lesson explains the purpose and use of PPE in the rail industry. 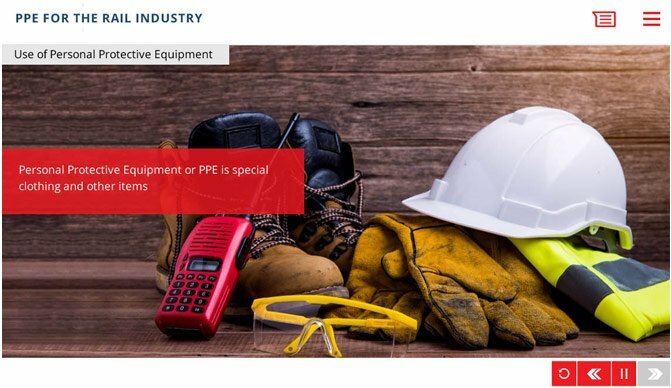 It describes the different types of PPE used for different tasks and under different conditions. 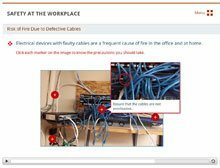 Scenarios and activities were used to ensure that the learning outcome has been met. 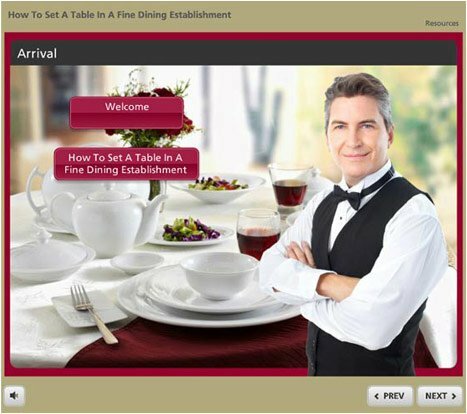 This course was created for an institute that offers courses on hospitality management. 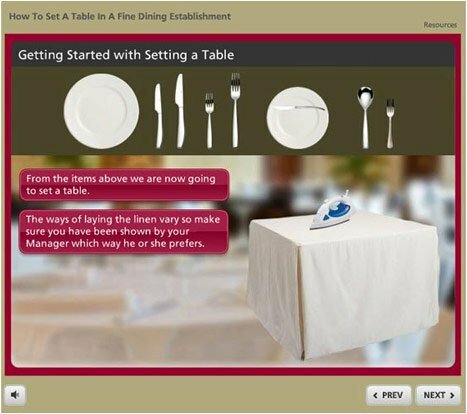 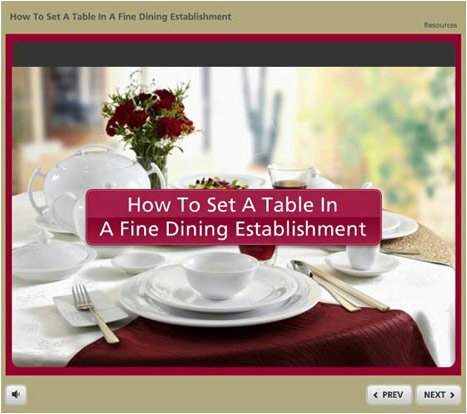 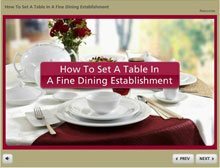 Created in Storyline, the course teaches the learners on the nuances of working in a fine dining establishment. 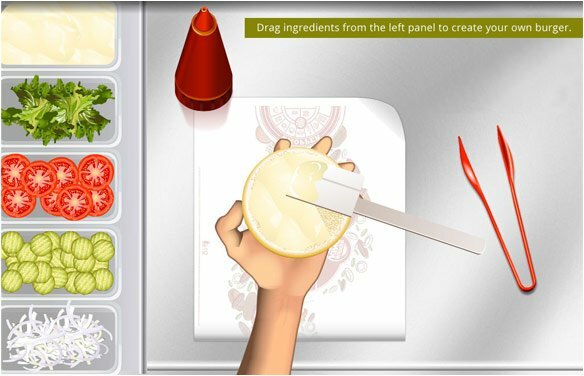 Interactive activities ensure that learners get to practice various skills that they would require on the job. 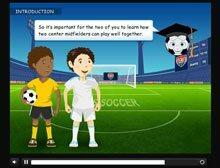 This set of courses has been created for children between the ages of 7-15 to learn about the different aspects of the game. 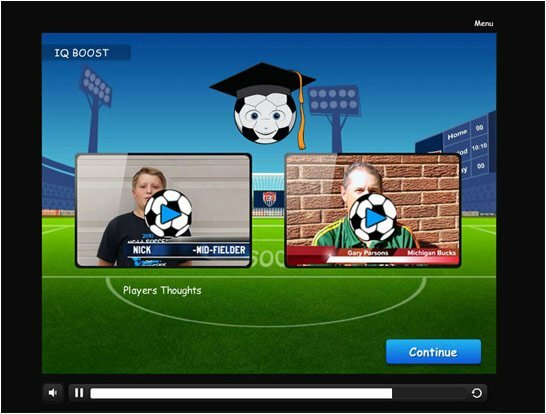 Replete with interactions and video examples, the courses are designed to teach different strategies that are used in soccer. 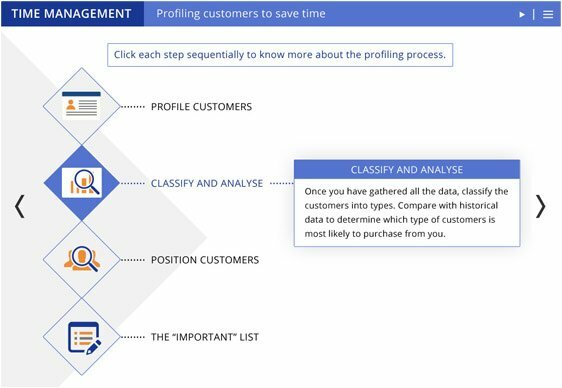 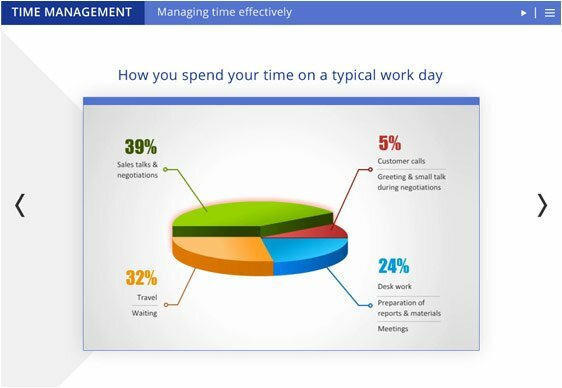 This didactic course has small videos and scenarios to explain the concept of time management and customer profiling to mid-level executives. 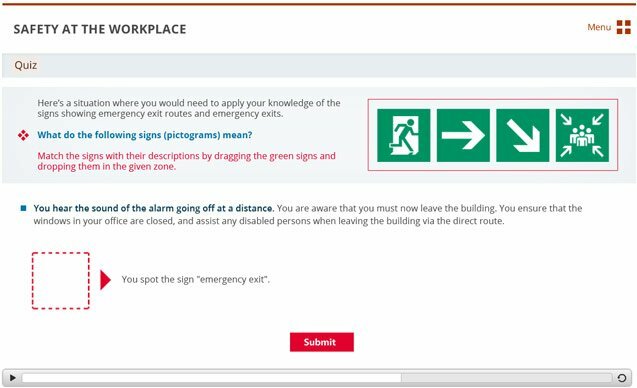 Presented with real life scenarios, the learners are encouraged to take decisions based on what they have learnt. 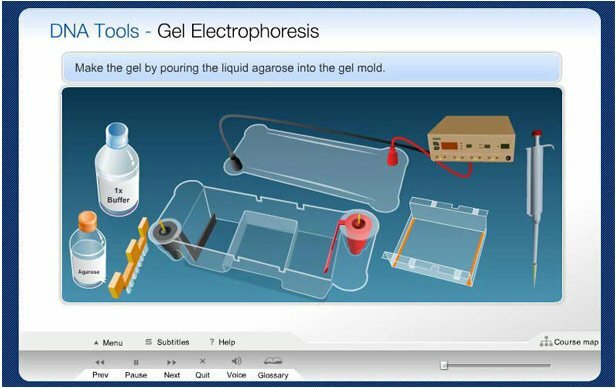 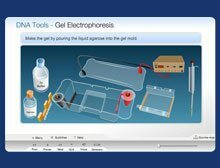 This course explains certain concepts of bio-technology, and has interactive parts where the learner can perform laboratory experiments virtually. 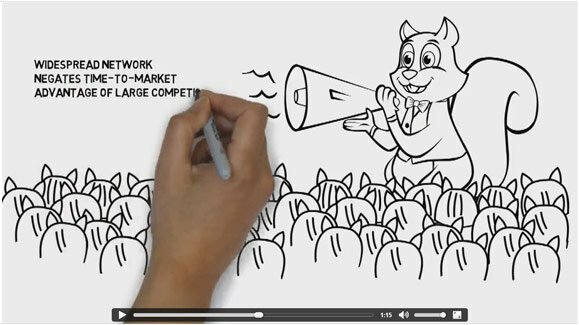 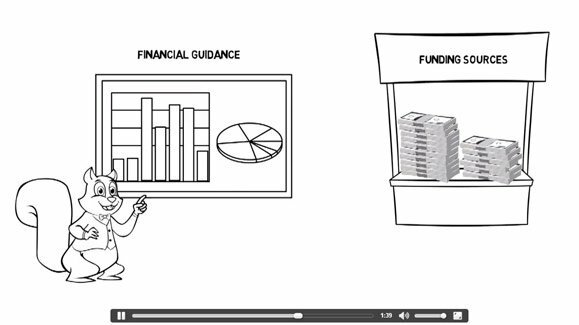 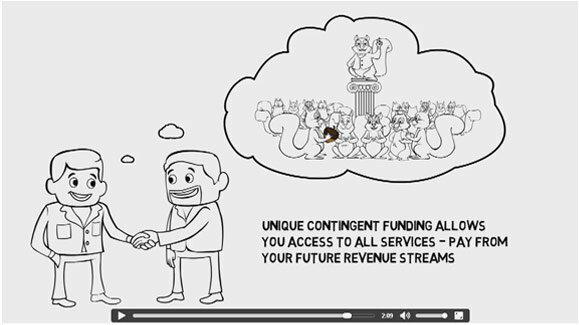 Whiteboard animations are effective for promoting a product or explaining a concept. 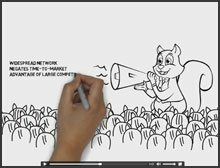 This presentation uses a story to explain the journey of an entrepreneur from conceptualization of a product or service to the market.